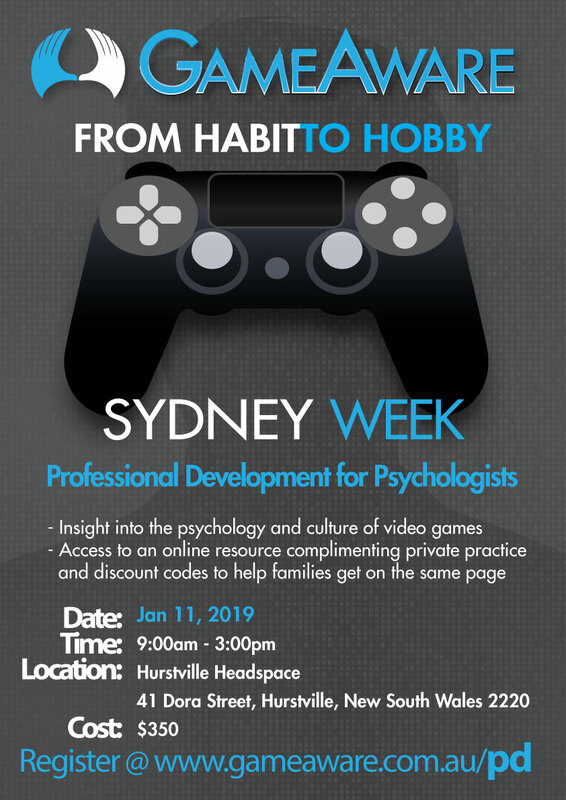 GameAware is hosting a professional development workshop with the aim of empowering mental health professionals with the tools to help clients who are gaming excessively or at risk of a Gaming Disorder. Anecdotal results from the past 3 years of holiday programs with the support of Headspace have shown significantly positive results and the PD will share de-identified data. For: Mental health professionals interested in helping young people who struggle with excessive gaming or gaming disorder.